Sony is altering the release dates for a handful of their 2017 offerings as well as officially dating a few others. The most prominent displacement belongs to The Dark Tower, the upcoming Nikolaj Arcel-directed adaptation of the famed Old-West Stephen King novel. The film – which stars Idris Elba and Matthew McConaughey – was originally scheduled to open next February but will now release on July 28, 2017. While that change may note a sign of confidence – given the competitiveness of the summer movie season – it is reportedly also to give the film a bit more time to fine tune the visual effects of the project. 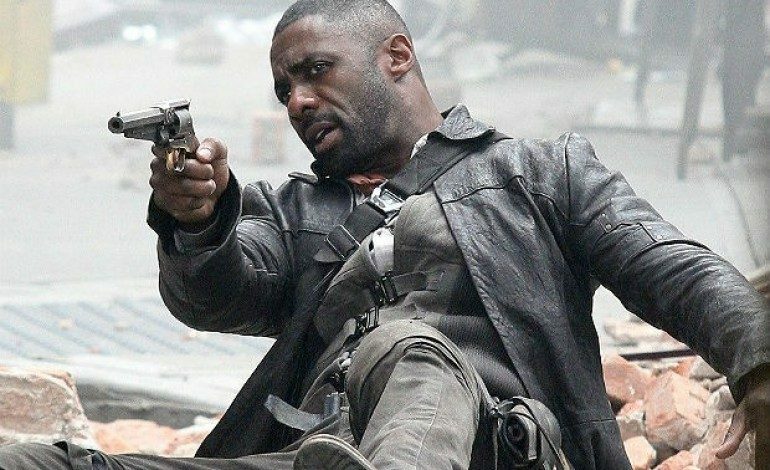 The Dark Tower tells the story of a gunslinger named Roland Deschain (Elba) and is a hopeful franchise-starter for Sony. The summer slot given to The Dark Tower previously belongs to Sony’s rebooted take of Jumanji starring Dwayne “The Rock” Johnson and Kevin Hart, that film will now open on December 22, 2017, where it squares off against Pitch Perfect 3. Sony has also adjusted the release date for Edgar Wright’s upcoming Baby Driver from March 17th to August 11th; the film stars Ansel Elgort, Jamie Foxx and Jon Hamm. Baby Driver now opens against the TV adaptation CHiPS and the Charlize Theron thriller The Coldest City. Another alteration for Sony involves the upcoming remake of Flatliners. The thriller, starring Ellen Page, has been pushed back from August 18th to September 29th, where the film will compete against another Sony title – The Equalizer 2, which will open shortly ahead on September 14th. Also, Sony’s upcoming animated feature Emojimovie: Express Yourself has moved from August 11th to August 4th, serving as a counter-programming option against Alien: Covenant. Finally, a pair of thrillers from the studio have been officially dated – the horror film Patient Zero will bow on February 17th, while the Bella Thorne-headlined thriller Keep Watching will open on March 24th.